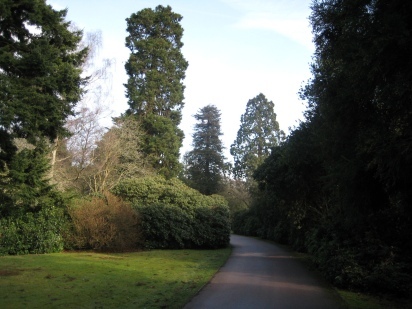 Thanks to Radek for sending photographs of Redwoods in Hampshire Radek says, "I came across a very nice ornamental road with 4 Sequoiandrons and 6 Sequoias. 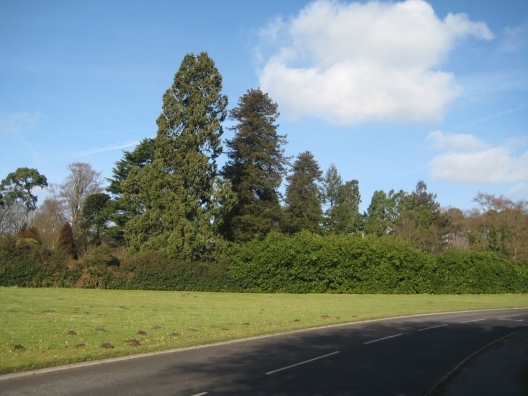 Chilworth Manor ornamental road is situated on the A27 Southampton to Romsey Road in the village of Chilworth. 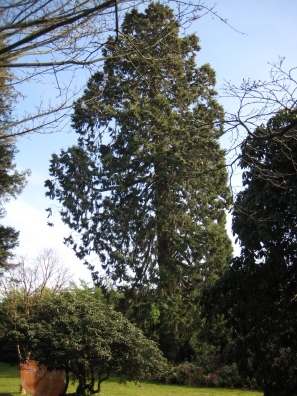 There is one very interesting tree which does not belong to the group commonly name redwoods. The taxonomy name is Cryptomeria japonica (Sugi). I think this tree should have a full right to be called redwood." I have seen this type of tree and when young it does have a very similar appearance from a distance. I was fooled by one until I got close enough to see the foliage in detail. 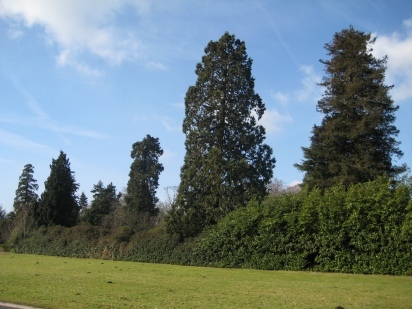 This is a nice set of trees, a very good find in Hampshire.